Episode 20 of Go! 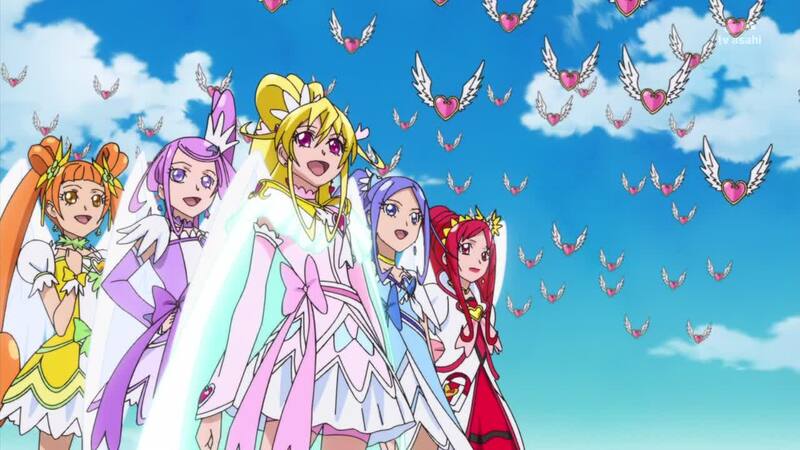 Princess Precure has recently aired, and the story is starting to unfold. In Episode 18, we met the author of the book that inspired Haruka-chan’s dream of becoming a princess. 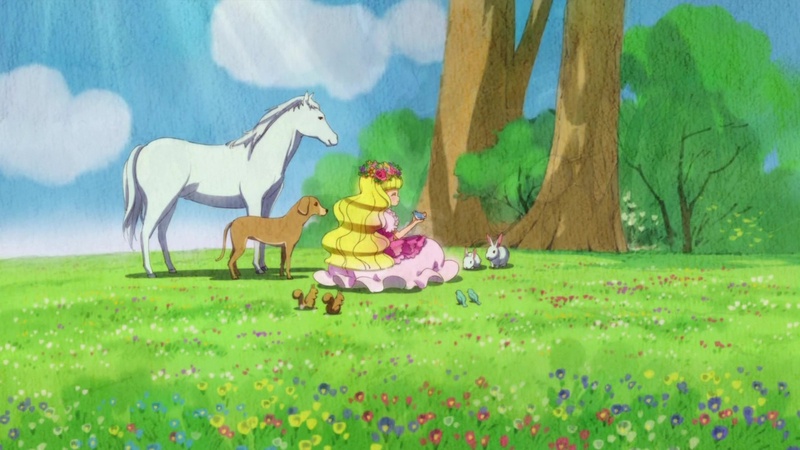 The protagonist of this book was the Princess of Flowers, who was loved by everyone. One day, a bird became jealous of her popularity and betrayed her to an evil magic user who held her prisoner. During her time of captivity, the princess never became angry or bitter, but instead remained sweet and kind. The bird regretted betraying the princess and helped her get free. The bird apologized to the princess, who forgave the bird, and they all became good friends. Not only did this story inspire Haruka-chan’s dream, but it also inspired the dream of her roommate, Yui-chan, who wants to become an author of children’s books. We find out that the author of the story was inspired to create a character based on who she wanted her daughter to grow up to be. Aside from the Cure Princesses, there is another Princess on the side of evil, Princess Twilight. We discover, at the end of episode 20, that Princess Twilight is likely Princess Towa, the younger sister of Prince Kanata. 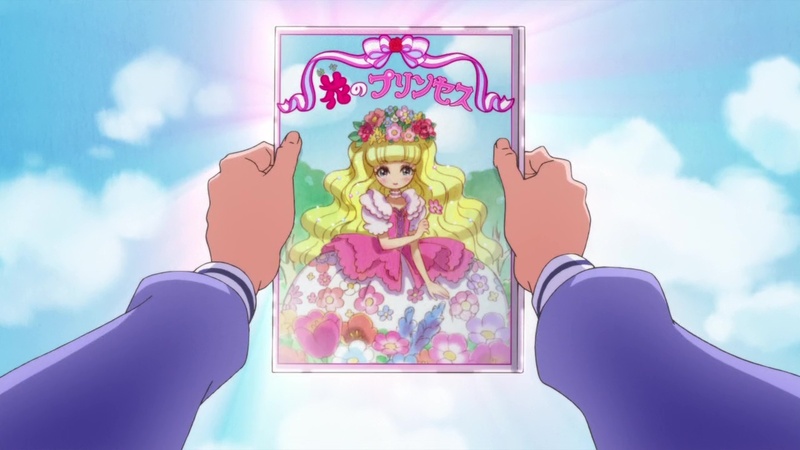 There was a time when she shared the same dream as the Princess Precure, to become a Grand Princess. In order to become a Grand Princess, the girls must become 強い tsuyosi (“strong”), 優しい yasashii (“gentle”), and 美しい utsukushii (“beautiful”). We discover that Princess Towa had been missing for some time, and that without her the Hope Kingdom became unable to resist Dyspear. 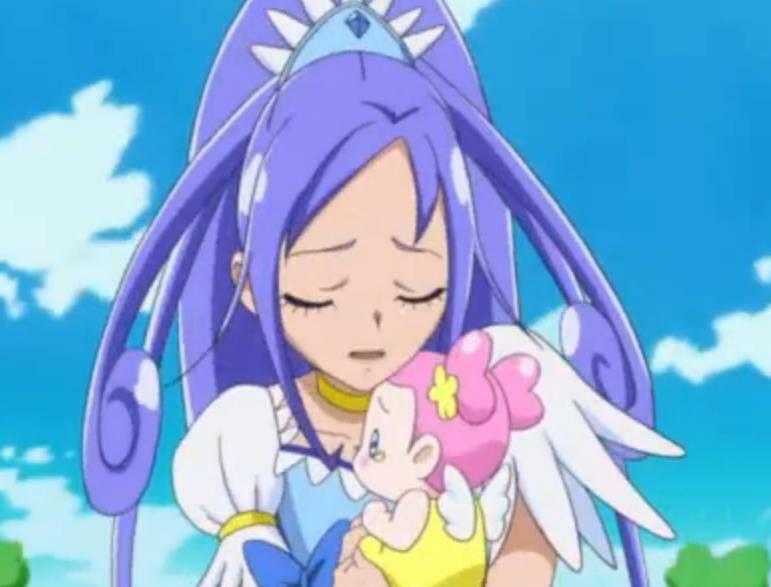 When Prince Kanata and the Princess Precure find her in episode 20, she does not recognize Prince Kanata and she believes herself to be the daughter of Dyspear. As Princess Twilight, she sees herself as the 唯一無二 yuiitsumuni (“one and only”) Princess and she describes herself as 気高い, kedakai (“noble”), 尊い toutoi (“precious, valuable”), and 麗しい uruwashii (“beautiful”). It is interesting because these traits do not seem bad in and of themselves. Indeed, my Japanese is not at the level yet where I can understand the difference in meaning or nuance between the two words for beautiful, 美しい utsukushii and 麗しい uruwashii, except that 美しい utsukushii is a much more common word, from what I can tell. I learned 美しい utsukushii quite early on my studies, and hear and read it all of the time. I think that I learned 麗しい uruwashii from this series, and I do not know if I have seen it anywhere else as of yet. Yet, judging from the other two ideals, that may very well be the important difference in the two words for beautiful. Strength and gentleness are used to support other people. Being noble and precious can be forms of setting oneself apart from others. Another clue is that she refers to herself as the “one and only” Princess. It will be interesting to see what happens next. 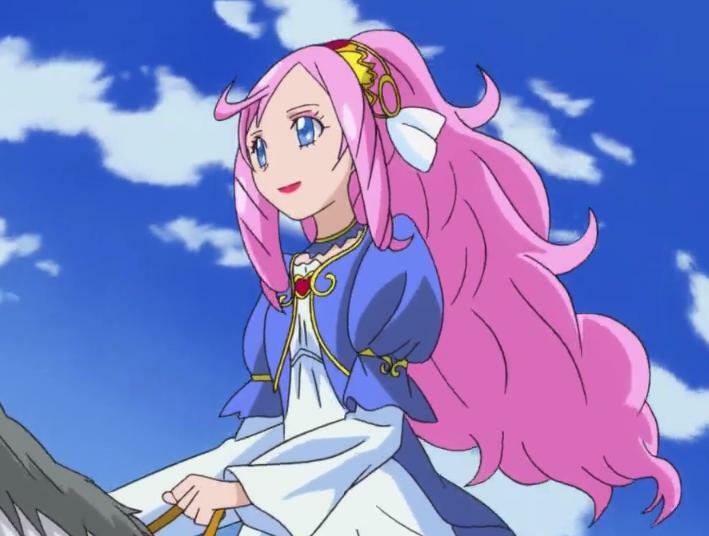 It is highly likely that Princess Twilight will return to her true self as Princess Towa. 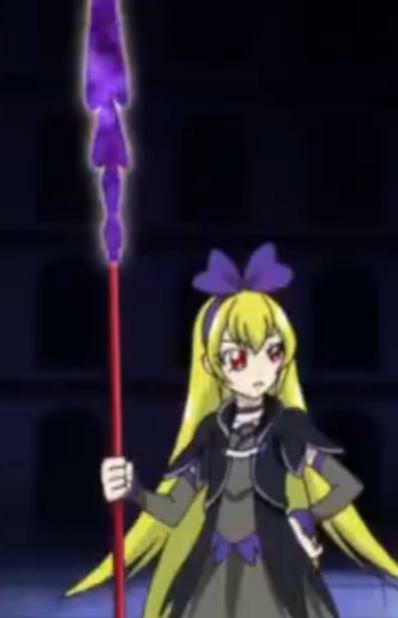 Aside from things of this nature being common in Precure, her apparent theme seems to be that of the butterfly, the symbol of transformation. It will also be interesting to discover the true nature of Dyspear. 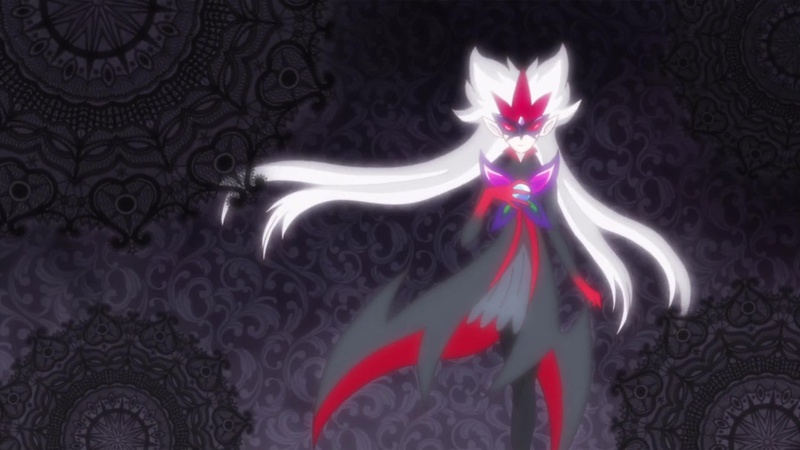 Is she truly Princess Towa’s mother and the Queen of Hope Kingdom under a spell of a larger force of Evil? I am looking forward to the coming episodes! 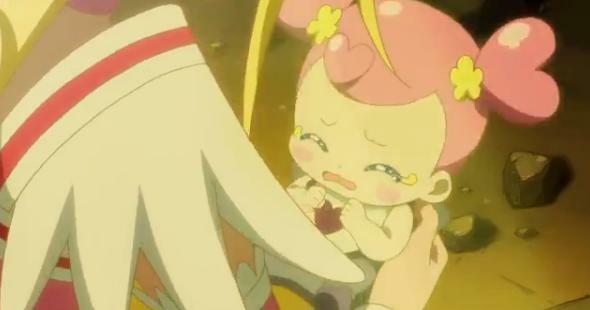 I have to admit that I am a bit disappointed with Happiness Charge Precure. I have just finished episode 7. I am using the series as part of my Japanese studies, which means that I need to take a lot more time with each episode than I otherwise might. 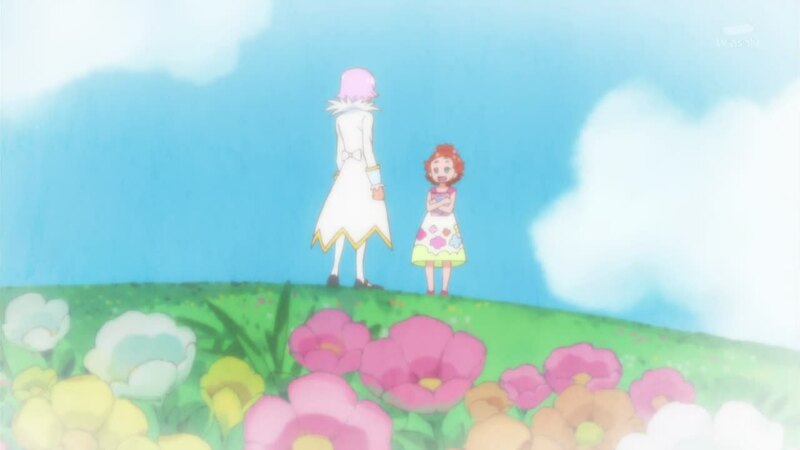 I really had high hopes for the series, particularly as the last four series, Heartcatch, Suite, Smile, and DokiDoki just kept getting better and better! Before I begin this section, please note, that if we were discussing any Western media, this question would not even arise. Here at Senshi, we can not recommend any Western media produced later than the 1960’s, except perhaps some of the movies produced by Disney. Sadly, we can not even recommend the more recent Disney movies, which have slid into the cynicism of the post-Modern West. Yet, even the best Western shows produced prior to the 1960’s are still rationalist in their outlook, and therefore, do not have much in the way of richness of metaphysical truth. 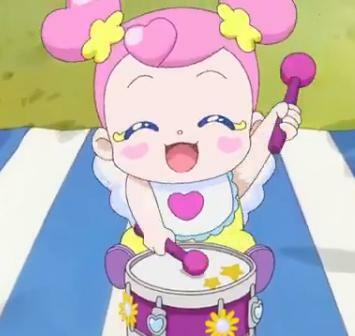 So, the fact that I can even discuss whether Happiness Charge Precure is metaphysically “right” speaks to the high quality of the larger series. After watching episode 7, I admit I am not sure how this series will fare. So far, I do not really see where the series is going with respect to metaphysical truth. In contrast, in the four previous series, the metaphysical themes were present from the very beginning. 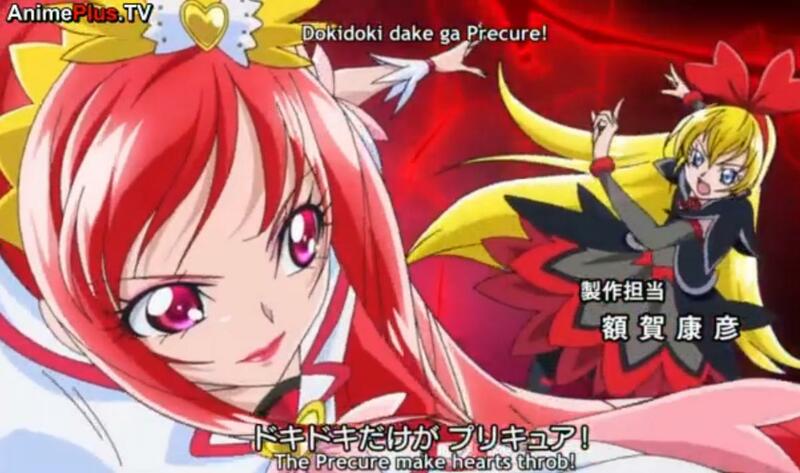 Cure Dolly discusses this at length in her article, Happiness Charge Precure Review – is it as good as the others. It is possible that the theme will be develop over time, and that it is more actually more subtle than the previous seasons. As of episode 7, it seems like the story may be developing into the traditional tale of the Wagamama (“selfish, spoiled”) Princess, which could be quite deep and could explain the surface visual attractiveness of the Side of Evil. Going outside in pajamas is DAME! For the most part, this series still promotes innocence, I think, and values such as friendship and harmony. On the other hand, there are a few trouble spots, which may or may not be minor depending on how the series develops. The theme of clothing and of the importance of clothing is of particular interest to us here at Senshi. 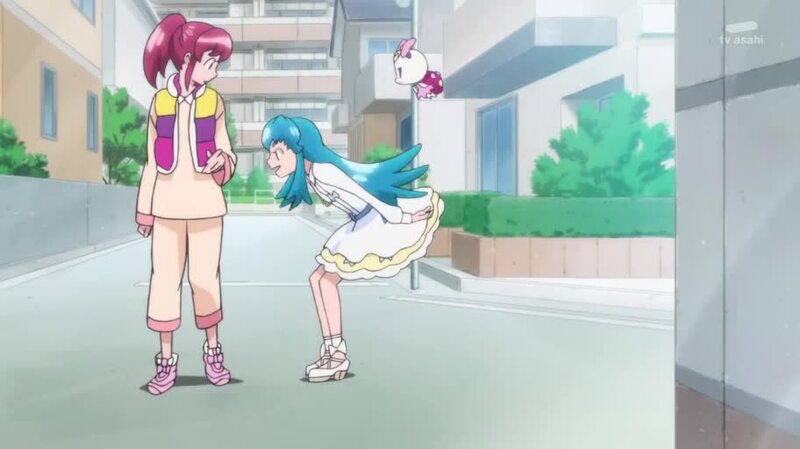 Hime-chan’s instruction of Megumi-chan regarding clothing is quite important. Some examples have been Hime-chan’s statement in episode 3 that wearing pajamas outside was “dame.” I found that particularly good and important as, where I live, I often see people wearing clothing that looks like pajamas. I also liked when Hime-chan explained to Megumi-chan that wearing a jersey to the party made the party less special in episode 7. Of greater interest are the “magic clothes” that transform the girls into particular Functions, such as Policemaid or Nurse. Aside from being a lot of fun, this really illustrates the importance of dress and clothing. See The Philosophy of Dress. 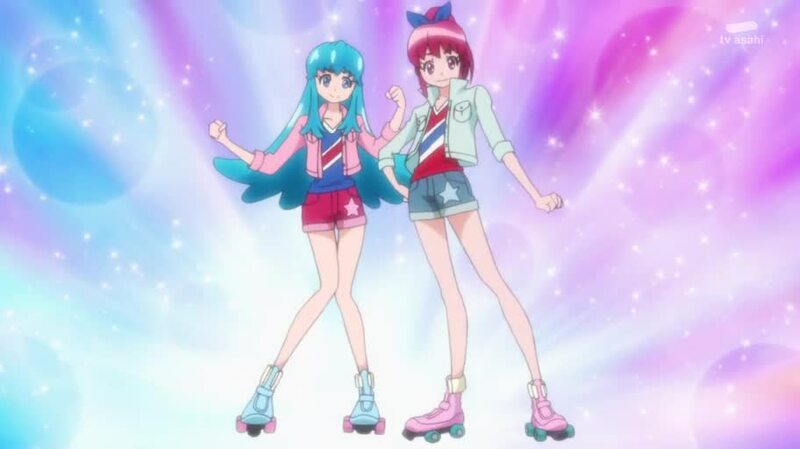 At the same time, there are some dubious clothing choices even with the “magic clothes.” In all of the various Precure series, the clothing of the girls has been one of the weakest elements in the series. While, here on Senshi, we have overlooked this flaw because of the overall goodness of the show, this weakness becomes a larger problem when clothing is one of the main themes of the series. Another important part of any media analysis on Senshi is the determination of whether there are any poisonous elements to be cautious of or to be avoided completely. 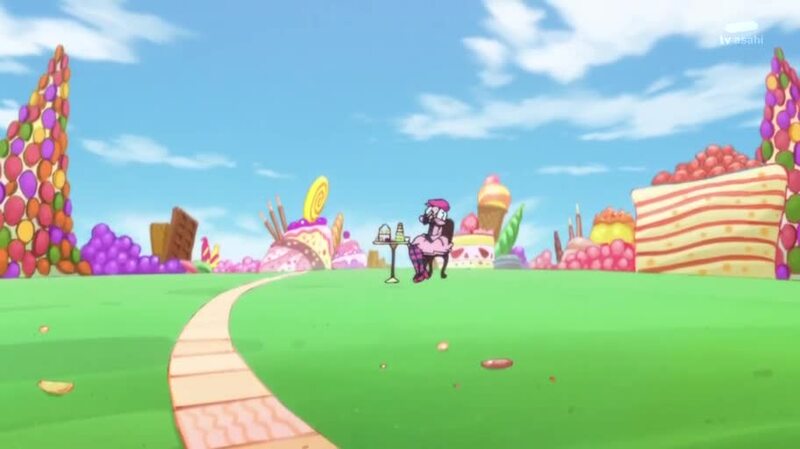 So far, in the case of Happiness Charge Precure, there is nothing so poisonous as to avoid watching the show entirely, but, I think that there are a few points to be careful of. The biggest concern in this direction is the visual attractiveness of the Phantom Empire and the effects of the Saiaku. There could be a good reason for this, which we may discover later, but, I think that this is still quite tricky. In all of the previous series I have seen Good and Evil are quite clear. Evil LOOKS like Evil! This is very important. Here on Senshi, we do not believe in “moral ambiguity.” Good is Good, and Evil is Evil. Axial Beings may experience difficult temptations…but Good and Evil is clear. 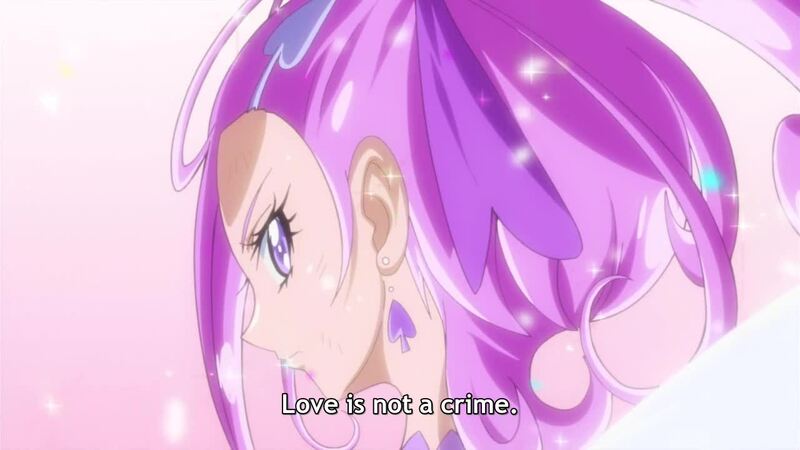 See DokiDoki Finale: Love is Not a Crime and DokiDoki Precure 46: The Fundamental Questions of Existence. 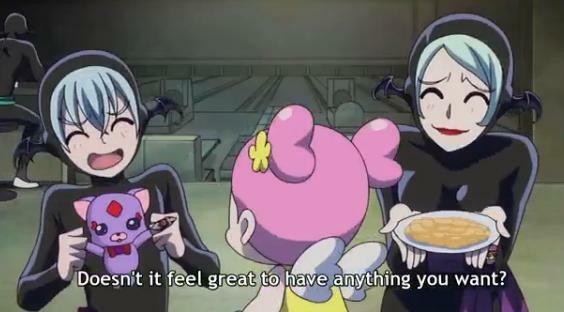 It is possible that the visual attractiveness of Evil in Happiness Charge Precure is truly an illusion, and that its ugliness will be revealed later, but this is a real concern. 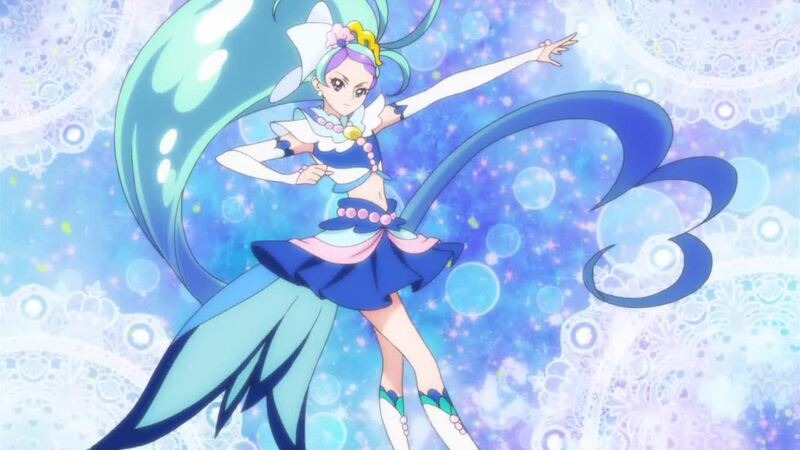 Another concern is one of Cure Lovely’s attacks, which is a dance using deracinated clothing and music. 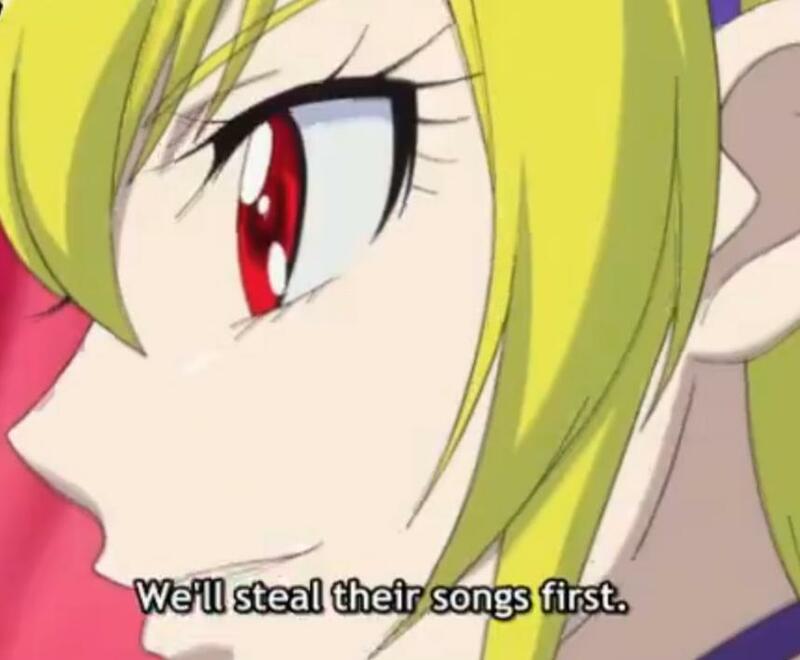 While all of the Precure series have had some questionable clothing and music choices, it becomes a much more serious matter when they are part of a purification attack against Evil. 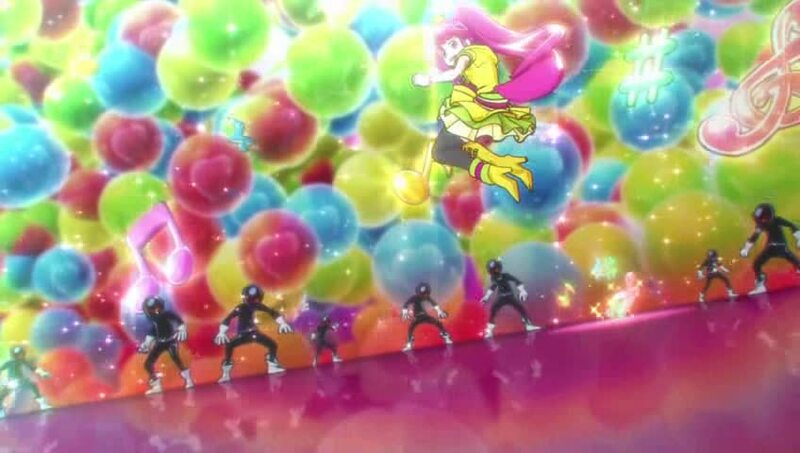 Also, even though I very much LOVE Cure Princess’ Macadamia Hulu Dance, where the Evil Minions are brought into harmony and dance along, generally when Evil is brought into harmony, it becomes Good. In this case, the harmony is a mere distraction to help defeat the Evil Minions with another attack. Despite these criticisms, Happiness Charge is still a fun show, and as of yet, the problems are not so great as to suggest that the show be avoided. On the other hand, it seemed good and important to explain what we look for in the media we suggest and recommend here on Musume Senshi. 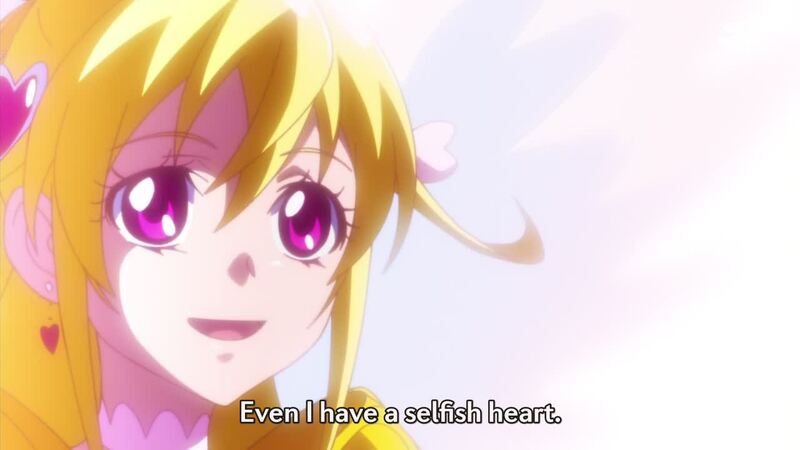 I recently finished watching Futari wa Pretty Cure, the very first Precure series. It turned out to be quite a fascinating series, particularly as an astrologer and as a student of metaphysics. 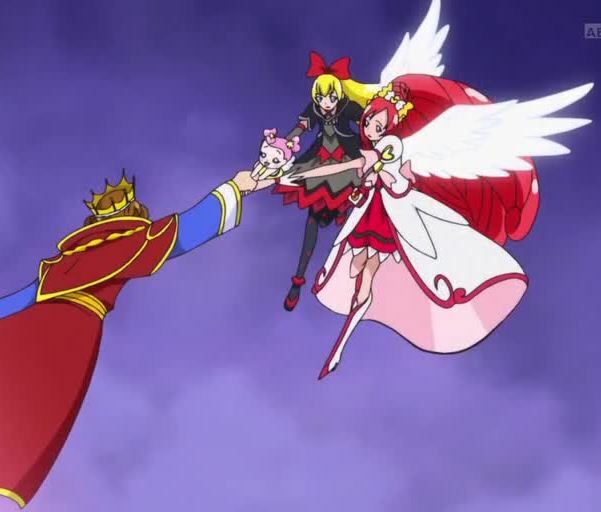 Futari wa Pretty Cure seemed to divide itself into two parts, and the Dark King was defeated twice. During the first part of the series, the girls had to collect and protect the Seven Prism Stones. Once these Prism Stones were together in the special Prism Hopish, they gave the Power of Creation. I, of course, immediately recognized this as the Seven Traditional Planetary Principles, or the Janyatic Powers. The Dark King was interested in these Prism Stones because he wanted the Power of Creation. True to the understanding of the relationship between Good and Evil, the Dark King could not create. He only had the Power of Annihilation. Evil is essenitally “privatio boni” – the absence of good. It is not a reality in itself. Like cold, it can appear violent and intense, but cold is only the absence of warmth. 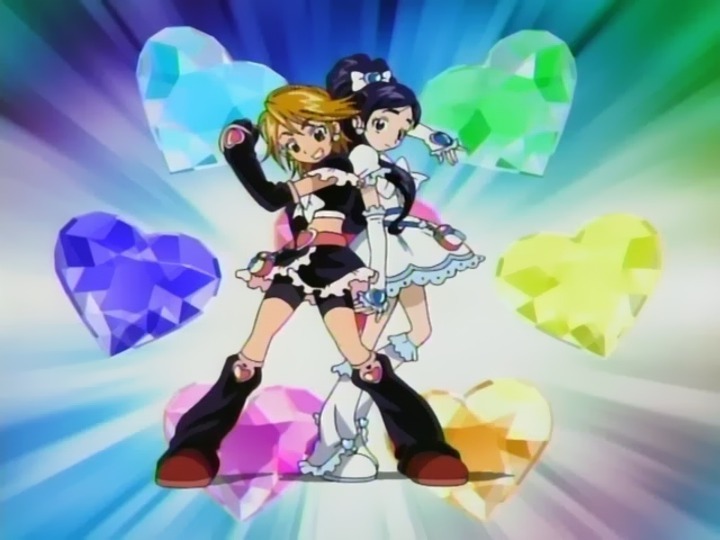 A little more than halfway through Futari wa Pretty Cure, the task of collecting the Prism Stones was accomplished and the Queen of the Garden of Light was able to defeat the Dark Lord through the actions of the Pretty Cure. This was a very traditional story, and the metaphysics were just right. Interestingly enough, the world of people was the Field of Rainbows, which is also quite accurate on a metaphysical level, the world being made up of the seven “colors” which represent the variety of Manifestation. Anyways, it really seemed like the story was complete after this, and to be honest, I was rather skeptical of the story continuing. After the Dark King was defeated, he sent out three Seeds of Darkness, which later spawned into three new villains. I admit, I was a bit downhearted by this at first, although, the show was still good and fun. It was not until near the end of the series that I realized who and what the Seeds or Darkness represented. 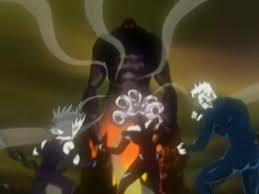 It was when the villains spawned by the Seed of Darkness rebelled against the Dark King that I really understood. 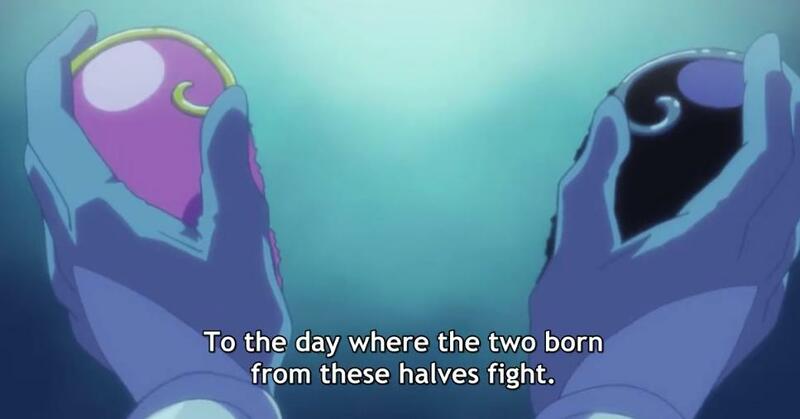 These villains realized that when the Dark King was revived, the Dark King would turn on them and eliminate them, so they sought out the Power of Creation for themselves rather than for the Dark King. It was then I realized that the Seeds of Darkness represented the modern poisons, which I theorize the modern Outer Planets represent. You can find more information about these poisons in two articles, The Outer Planets: A Theory and The Outer Planets: The Pseudomythos of “Higher Octaves” and “Transcendence.” For our purposes, here at Senshi, one of the purposes of this blog and this group is to show an alternative to the modern poisons in the form of embracing and celebrating innocence, purity, and goodness. Although, we do not often say this explicitly, we really are embracing a more traditional worldview, rather than the post-modern “anything goes” worldview. One of the more compelling arguments of the post-modern worldview is that this world has a violent and cruel history, and tradition is often associated with this violence and cruelty. According to this argument, this is the reason that we should break from tradition. 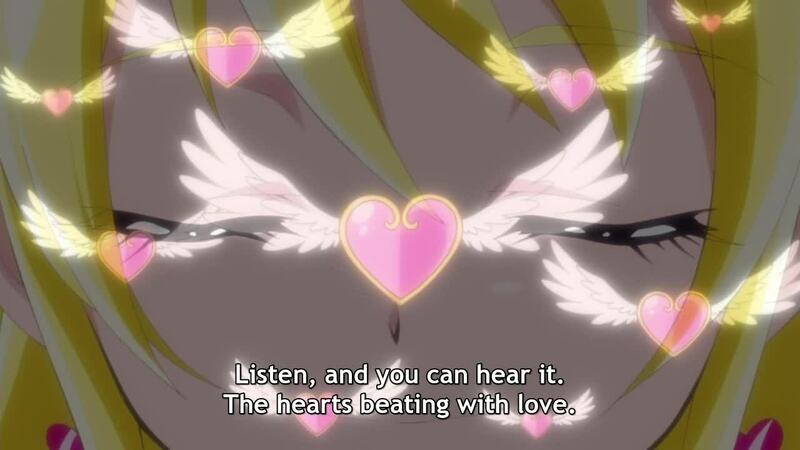 Futari wa Pretty Cure gives the fundamental counter-argument to this post-modern idea. First off, the show acknowledges that tradition itself became inverted by the Dark King. 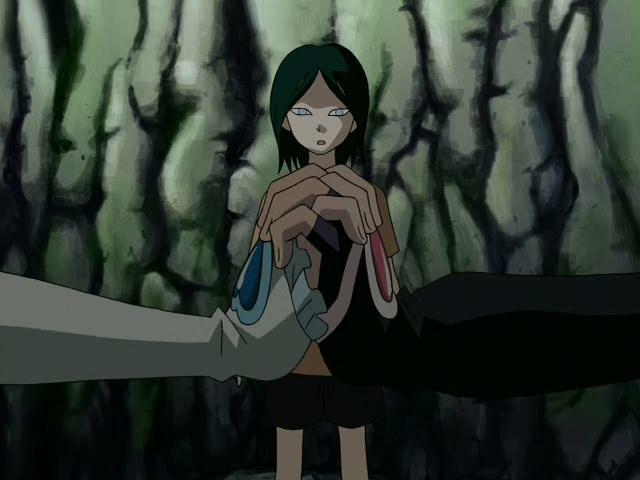 Five of the seven Prism Stones were captured by the minions of the Dark King. 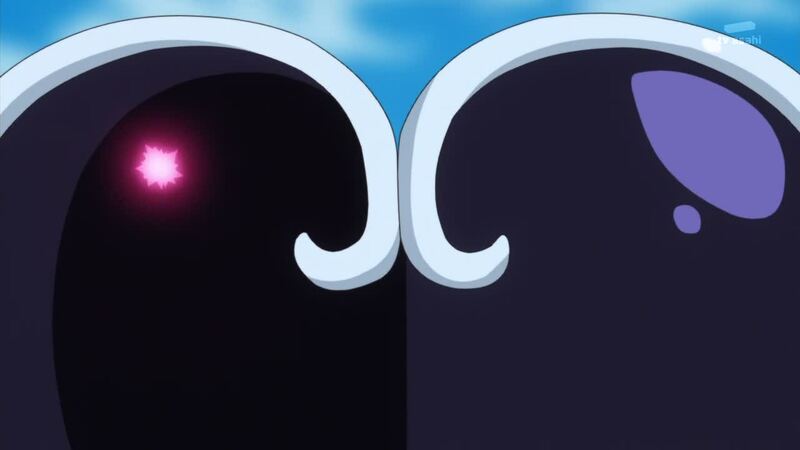 Interestingly, at the beginning of Futari wa Pretty Cure, two of the stones were retained by the Garden of Light and are guarded and protected by the fairies (the two luminaries, I imagine). Yet, after the Prism Stones were restored and the Dark King was defeated the first time, the Three Seeds of Darkness were sent out and spawned. Like post-modern thought, these Seeds turned against the Dark King, and indeed, post-modern academia does tend to speak out against the abuses of this world’s past. The Spawns of the Three Seeds actively attack the Dark KIng. We learn, though, that if either the Spawns or the Dark King won, the Garden of Light and the Garden of Rainbows would be destroyed by Darkness. Embracing post-modern moral ambiguity may seem like a solution, but it is not – like a nuclear weapon, it destroys the good as well as the bad. 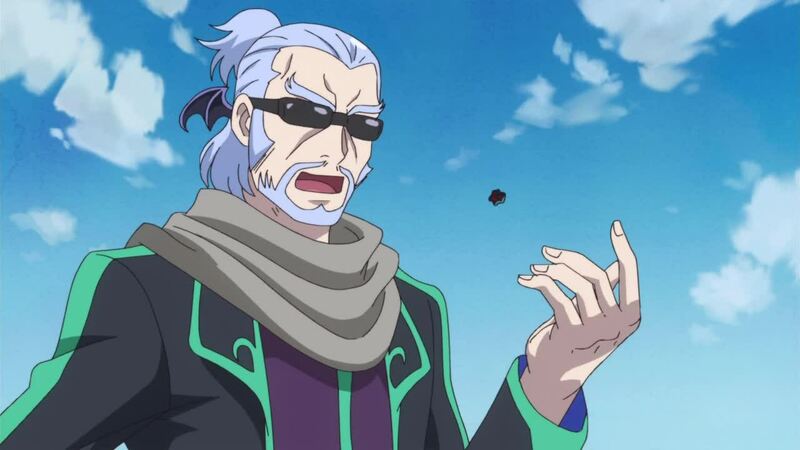 It is also interesting, that one of the villains from the first half of this series, Kiriya-kun, is pivotal in the girls defeat of the Dark King, twice. In the first half, Kiriya-kun voluntarily gives up his Prism Stone after learning about kindness from Honoka-chan/Cure White. In the second half, he is the one who explains to the girls the danger of letting either Spawns or the Dark King win. The Prism Stone that Kiriya-kun held was the Yellow Stone, which is the color of Sai Mati/Mercury. 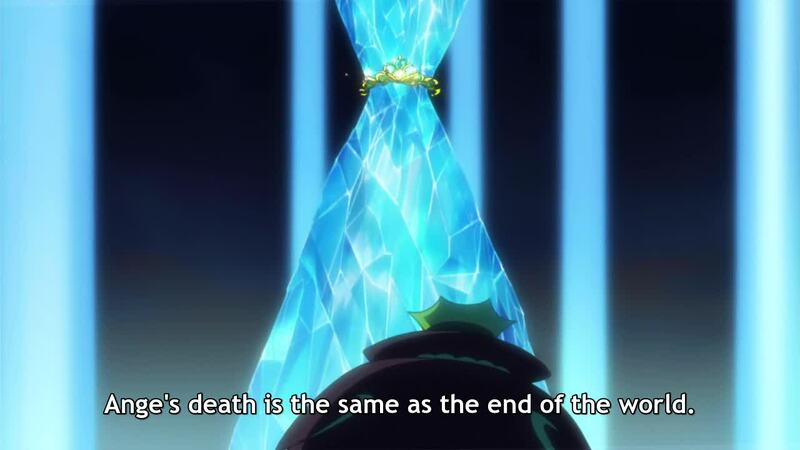 It seems symbolic that knowledge was so pivotal in the defeat of the Dark King. 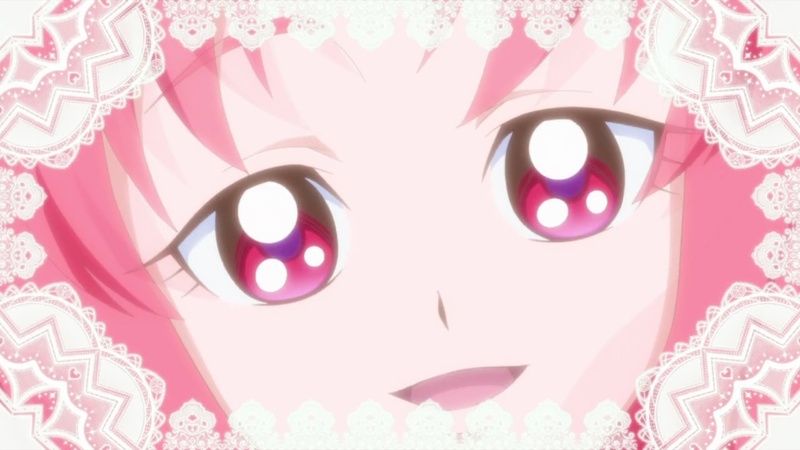 So, needless to say, I was quite impressed by Futari wa Pretty Cure, and I highly recommend it! One of the scariest and most frustrating things that happens when taking care of a baby is when they cry and cry, and it seems like there is nothing that can stop the crying. 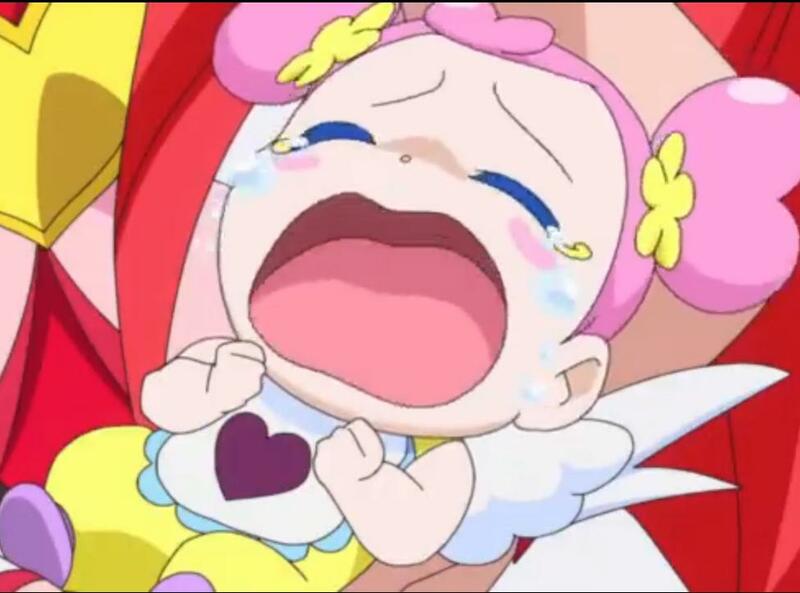 This is the situation that the girls face in the most recent episode of DokiDoki Precure, episode 34. Ai-chan was in a bad mood, and she would not stop crying. 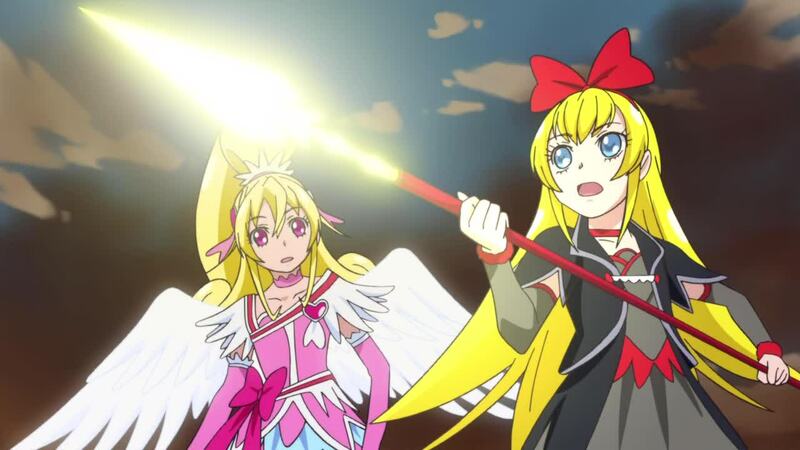 This situation was even worse, because when Ai-chan cried, it decreased all of the girls powers and increased the Powers of the minions of the Selfish Kingdom. The girls try everything to make Ai-chan happy again, but nothing works. 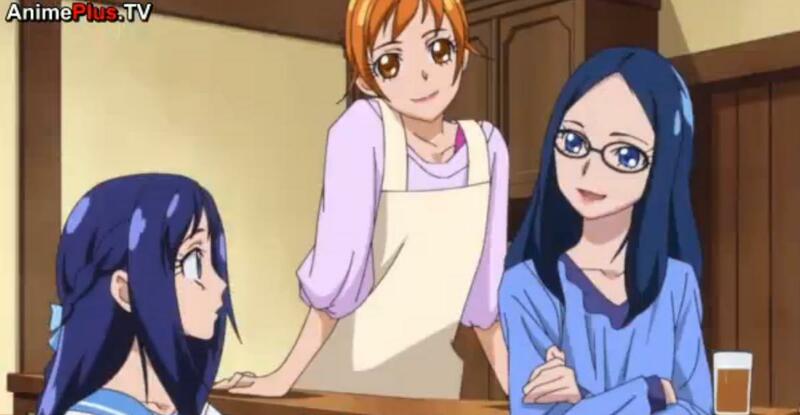 When the girls were frustrated and exhausted Mana-chan’s mother and Rikka-chan’s mother come in and ask what is wrong. We then hear stories of Mana-chan’s and Rikka-chan’s childhood. By a strange bit of serendipity, this week there was a Daily Post Weekly Writing Challenge: DNA Analysis about the exploration of traits and teachings that are past down through the generations. The reason that this is a strange bit of serendipity is that this is a major theme in this episode. Both Mana-chan and Rikka-chan learn things from their mothers that helps them handle Ai-chan’s crying. 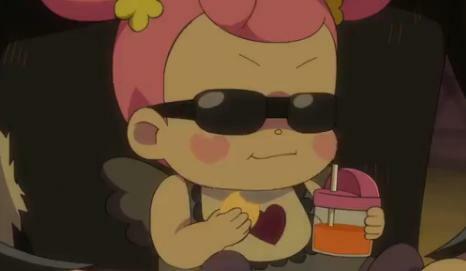 This is Rikka-chan’s episode to power-up, however. Of all of the characters, Rikka-chan most directly follows in the footsteps of her mother. 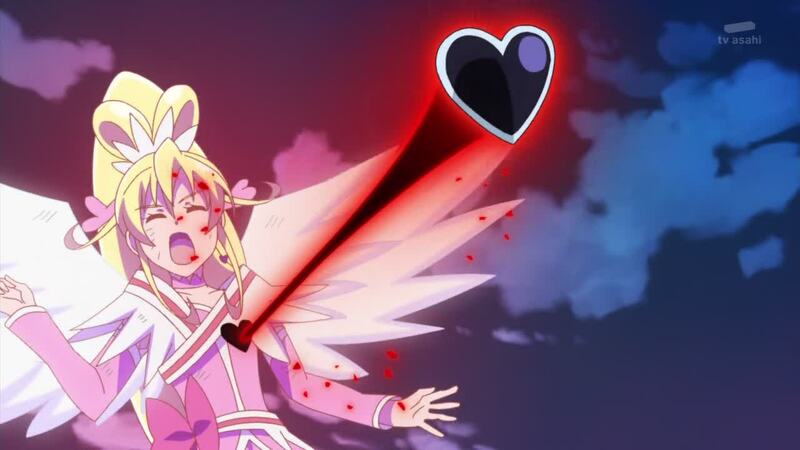 It seems to me that DokiDoki Precure has been an exploration of love, in its many different forms. Each of the four beginning characters represents a material element, which corresponds with their card suit. Cure Heart/Mana-chan is water, Cure Sword/MakoPi-chan is air, Cure Rosetta/Alice-chan is fire, and Cure Diamond/Rikka-chan is earth. While water is the most obvious element representing love, each of the four initial characters also manifest love in the manner of their element. 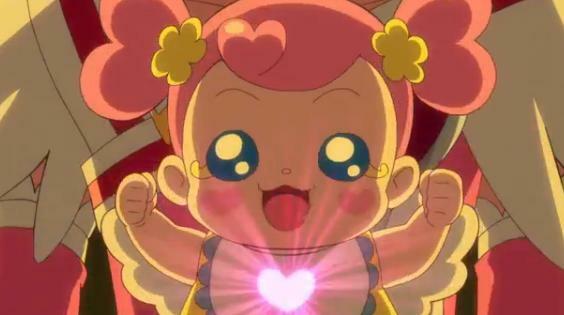 Cure Heart/Mana-chan manifests love primarily through service (water), Cure Sword/MakoPi-chan manifest love through song (air), and Cure Rosetta/Alice-chan manifests love through protection (fire). 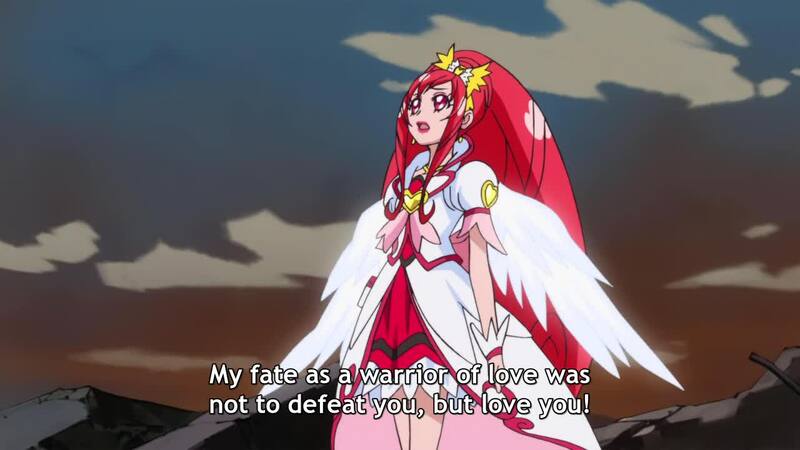 Cure Diamond/Rikka-chan is earth, and she manifests love in very practical ways, and as I mentioned earlier, she directly follows in the footsteps of her earthly mother. She wants to be a doctor, like her mother when she grows up, as I discussed in a previous article, The Heart of a Healer. In this episode, she learns from her own mother how to care for a baby, and how to understand the needs of a baby. Clues from both her mother and Mana-chan’s mother helped Rikka-chan to understand that Ai-chan was frightened by the battles she was seeing. Through her understanding, she was able to soothe Ai-chan, and she powered up with a new attack. Over and over in this series, we are seeing how love is passed along. We can only love when we have received love. In Rikka-chan’s case, as earth, she learned love from her earthly mother, and she in turn, passes that love along to her patients and to Ai-chan in the form of earthly, practical care. I wonder what will happen next. We are left with the mystery of Ai-chan and with the question of why her crying powers up the side of evil. When the girls ask this question, the Princess appears in the mirror. Oh, yes, there is another thing I noticed. 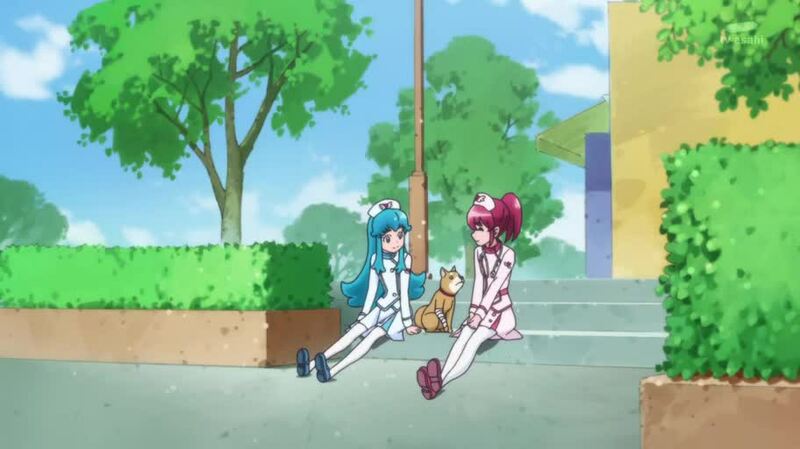 Have you seen in the new opening sequence, Cure Ace and Regina-san appear together? 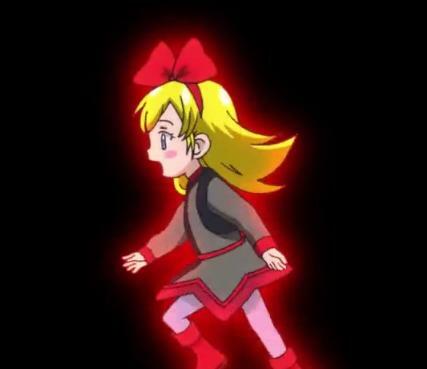 When we learned about Aguri-chan’s background, I had given up on Cure Kiyoku’s earlier theory about Cure Ace and Regina-san, as she wrote in her article, Who Is Cure Ace? Yet, there does seem to be some connection with Ai-chan and the Princess. I wonder how all of this is going to tie together.